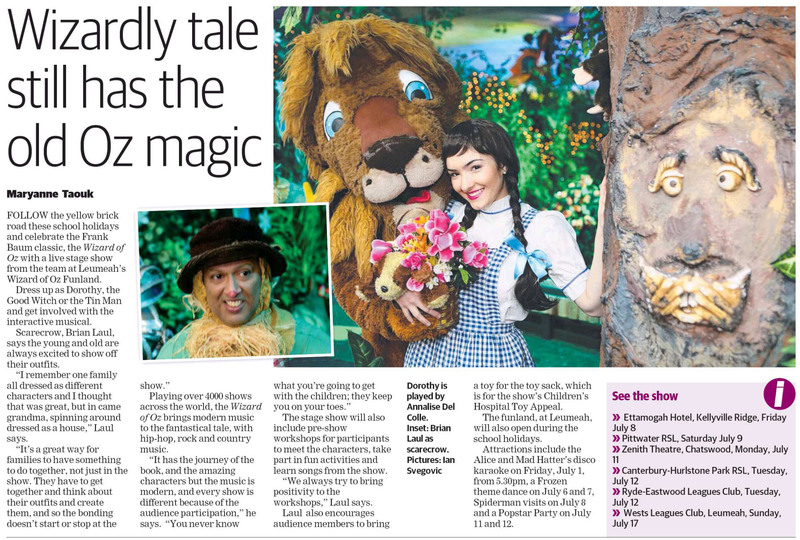 AUDIENCES in Shanghai, China were delightfully entertained when Leumeah’s The Wizard of Oz show took part in a week of performances for the This Is Australia Festival. Director Brian Laul. 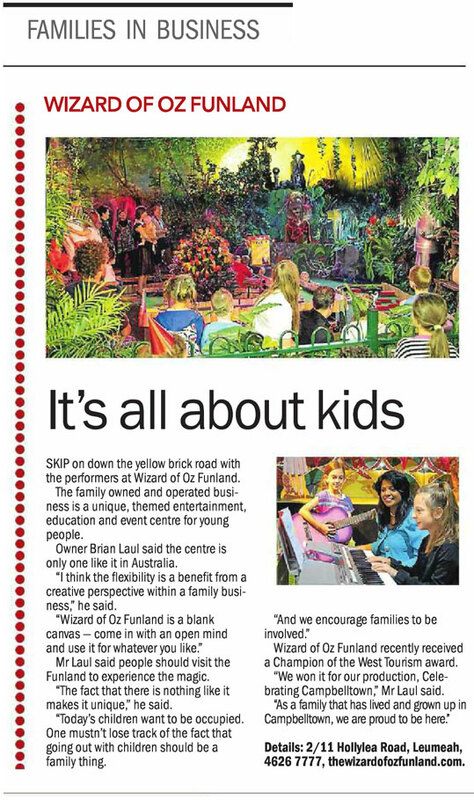 from The Wizard of Oz Funland said Chinese audiences got into the spirit of things despite the obvious language barrier. 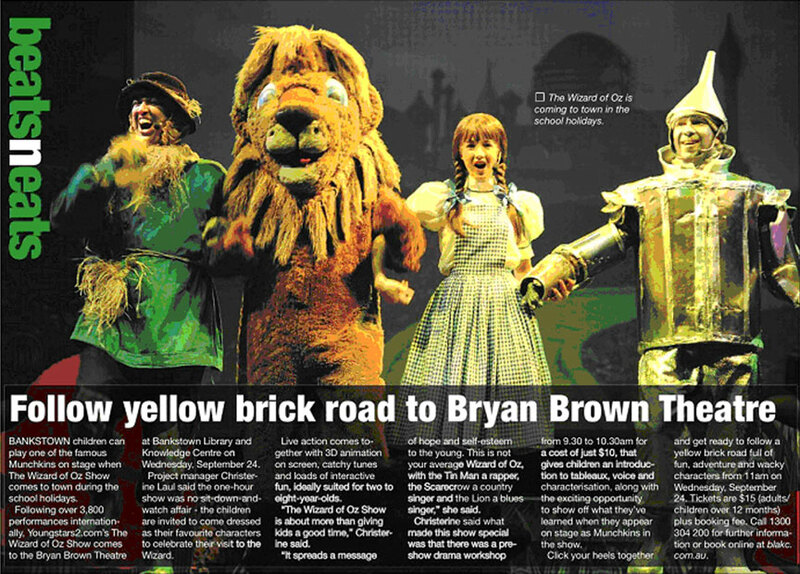 “Because this is a highly interactive version of the (Wizard of Oz) story with lots of comedy and music that today’s kids can identify with, it’s lots of fun for everyone,” Mr Laul said. 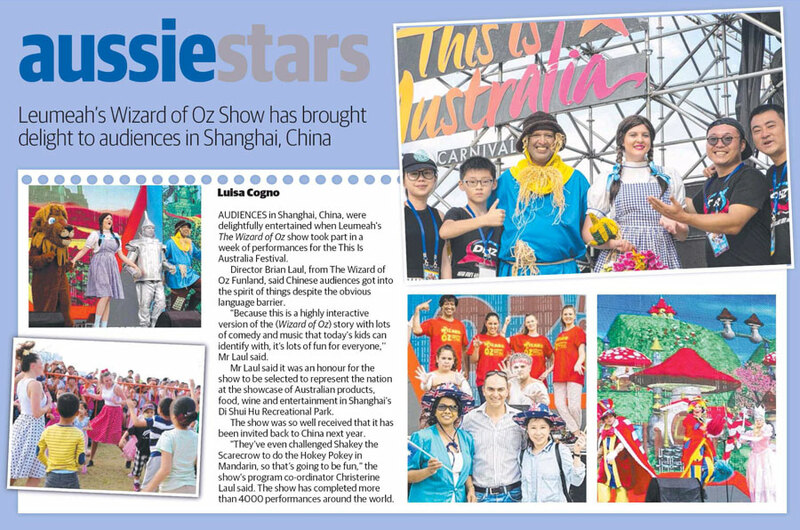 Mr Laul said it was an honour for the show to be selected to represent the nation at the showcase of Australian products, food, wine and entertainment in Shanghai’s Di Shui Hu Recreational Park. The show was so well received that it has been invited back to China next year.